New Delhi: India will study the effect of black carbon, a component of soot, on monsoon and glaciers in an effort to develop scientific records on the minute particles that some Western researchers have cited as a reason for global warming and altering rain patterns in the nation. The National Black Carbon Mission, to be funded primarily by the department of science and technology and the environment ministry, will be used by local policymakers at international negotiations on climate change, according to officials associated with the project. 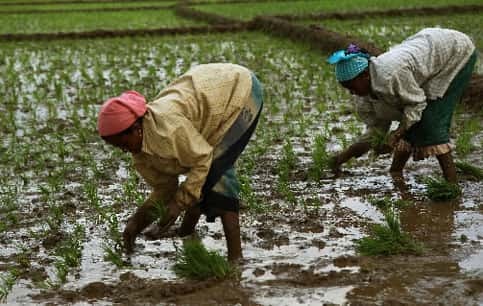 On Friday, a team of scientists at Princeton University reported in the American academic journal Science that a decline in monsoon rainfall over central India in the past 50 years was because of the increasing concentration of black carbon over the subcontinent even though this has led to increased rainfall in other parts of the nation. Last year, researchers associated with the Indian Space Research Organisation (Isro) and the government-run Wadia Institute of Himalayan Geology said fluctuation of aerosol concentrations in and around the Himalayas were linked to the expansion and contraction of the Dokriani glacier. Aerosols are tiny particles suspended in the air. “We’ve observed this in the Dokriani, which is among the best studied and measured Himalayan glaciers and, therefore, the trend is far more reliable. However, it does seem that aerosols have an important role," said Sanat Kumar Das of the Physical Research Laboratory, Ahmedabad, an Isro organization, and among the key authors of the study. “It could also be that aerosols and greenhouse gases are combining to trigger glacial melt. Also, we need more data to study such effects on bigger glaciers such as the Gangotri glacier," he said. Anil Kulkarni, a scientist at the Divecha Centre for Climate Change, Indian Institute of Science, Bangalore, said India had one of the weakest datasets on the effects of black carbon on its ecosystems. “There is a lot of confusion on the exact role of aerosols. Many Western studies exaggerate the case, but at the same time Indian datasets are also among the weakest," said Kulkarni, who is involved with the mission. Although greenhouse gases and aerosols both affect the climate, their mode of action differs. Greenhouse gases almost universally heat up the atmosphere and accelerate global warming, whereas aerosols sometimes heat up and sometimes cool the atmosphere. All international negotiations and existing treaties focus on greenhouse gases. “There will be a dedicated centre, and mechanism that will network between institutions which are working on the mission," said Akhilesh Gupta, a senior functionary of the department of science and technology and coordinator of the project.